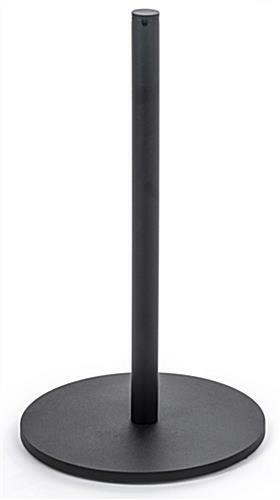 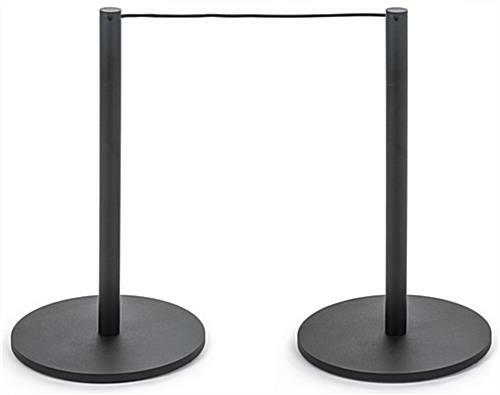 This 8-barrier black low profile stanchion system is the ideal crowd control method for securing safety lines around valuable exhibit pieces. 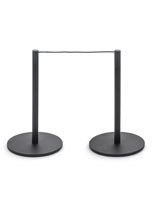 It has powder coated stainless steel posts and 100 feet of sturdy barricade cord that can be customized to accommodate small visual creations or large statuesque pieces. 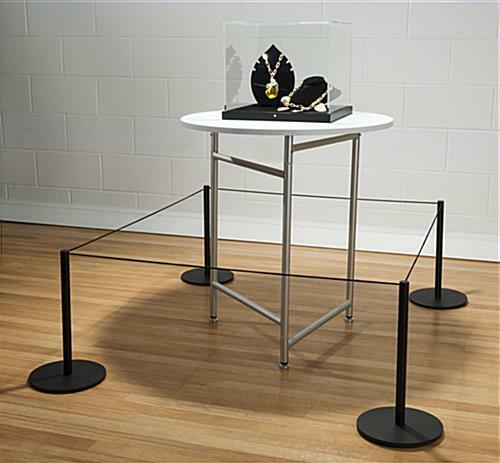 This museum low profile stanchion system can be used for a full 18’ x 16’ display section or separated to organize smaller exhibit areas. 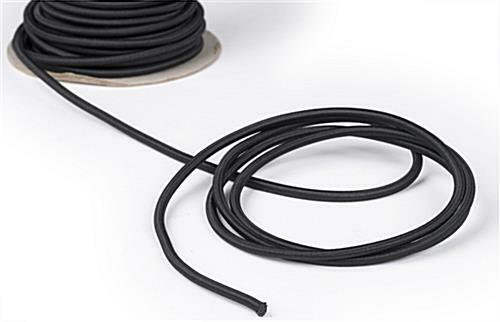 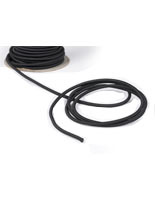 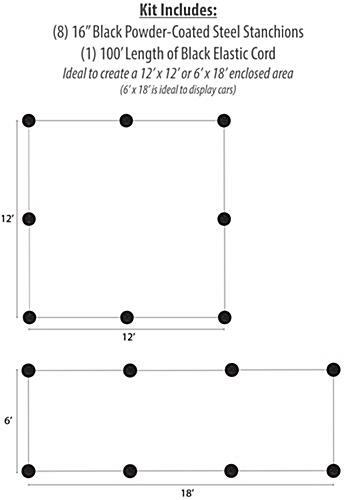 For small sculpture areas cut the long cord into several pieces and divide between fewer stanchions or use the entire kit for a large safety border around classic cars. 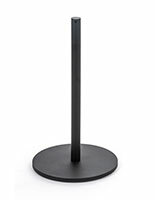 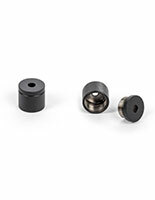 It is easy to assemble due to the removable top on each post that keeps knots hidden and secure after attaching. 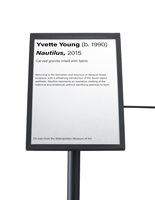 Each stainless steel pole is only 16”h for unobstructed views of artwork and the tight attachment of the rope will keep patrons at a safe distance. 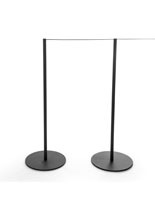 This stanchion system is the ideal crowd control method for any museum with its contemporary color, unobtrusive height, and ease of use. 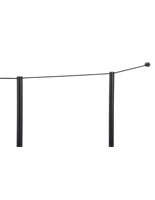 Give your clientele an unforgettable visit gazing at classic automobiles, historic sculptures and other specialty exhibits while keeping priceless artifacts safe with the 8 posts and 100’ elastic barricade cord.